Home Latest News From ‘peace process’ to ‘annexation’ — the changing role of the conflict in Israel’s political discourse. From ‘peace process’ to ‘annexation’ — the changing role of the conflict in Israel’s political discourse. Jerusalem (CNN) One of the more striking campaign ads preceding Israel’s upcoming elections featured footage from 2011 of Benjamin Netanyahu at the White House telling Barack Obama that the President’s wish to see a restarted peace process between Israelis and Palestinians was pie-in-the-sky. The campaign ad was for Likud, the Prime Minister’s party. And the message was simple: Netanyahu will stand up to anyone who wants him to resume talks about the creation of a Palestinian state. Once upon a time such unequivocality opposite the Israeli-Palestinian conflict would have triggered a serious debate among the parties in Israel. Indeed, for decades the conflict was the main fault line in Israeli politics. Just as the Green Line separated Israel from the West Bank, the approach to the conflict separated right from left on Israel’s political spectrum. The left was more willing to engage in negotiations and make concessions in a peace process, while the right took a more hardline approach. This time, issues like security — for which, read the threat of Iran in Syria — the Israeli economy, and, most of all, the criminal investigations against Netanyahu have dominated the headlines. For a few days, the conflict with the Palestinian militant group Hamas was top of the agenda, after a rocket fired from Gaza hit a house north of Tel Aviv injuring seven, including three children. Israel responded with airstrikes, also injuring Palestinians, and a serious escalation looked possible. But within days the talk was of a Gaza truce and an easing of Israeli restrictions on the enclave’s two million residents. Any improvement in conditions in Gaza would be welcomed by pretty much everybody. But it is a long way away from what resolution of the conflict used to look like. Back in the 1990s, the Oslo peace accords envisioned final status negotiations between Israel and the Palestine Liberation Organization, leading to the creation of a Palestinian state. It is an idea still held on to dearly by Western diplomats serving in Jerusalem and Ramallah, but fewer and fewer others seem to give it much chance. Netanyahu’s main rival in this election, former Chief of Staff Benny Gantz of the Blue and White party, has made only vague references to the conflict. He has advocated a policy of “separation” from the Palestinians, without endorsing the idea of a two-state solution. Gantz has tried to position himself as a centrist in Israeli politics — and so to fully commit to any peace process with the Palestinians risks losing potential political partners, which Gantz is unwilling to do at this point. Waiting in the wings is the Trump administration’s “Deal of the Century,” set to be released sometime after the April 9 election. Trump’s team, led by son-in-law and foreign policy novice Jared Kushner, has said the peace plan resolves all of the final-status issues in the Israeli-Palestinian conflict, including security, refugees, borders, and Jerusalem. He has also said it will require difficult concessions from both sides. The Palestinian Authority has already flatly rejected any plan put forward by the Trump administration following the President’s recognition of Jerusalem as the capital of Israel and the moving of the US embassy there from Tel Aviv. Though Netanyahu for his part has said he won’t pre-judge the plan, and will wait to see its contents, his potential right-wing coalition partners have already done it for him. Two of them — The Union of Right Wing Parties and The New Right — have categorically rejected any proposals that require concessions to the Palestinians. 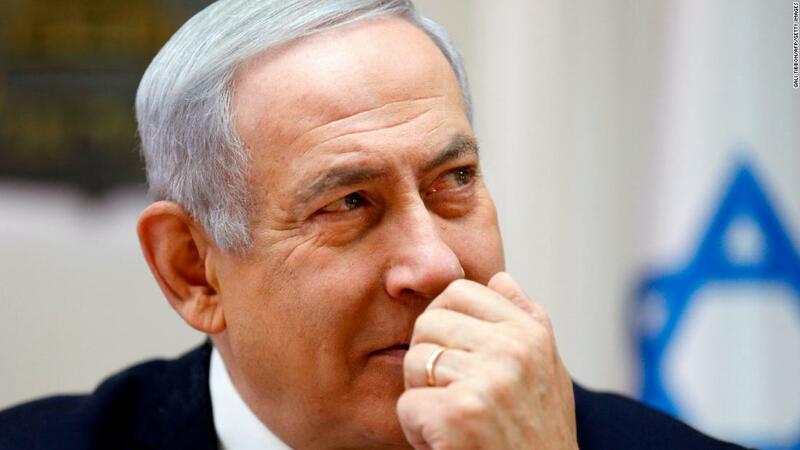 In fact, if Netanyahu succeeds in winning the election, the likelihood is that the parties he is courting, rather than seeking to hold peace negotiations at bay, will try to move things in the opposite direction, pushing for annexation of some, or all, of the West Bank. 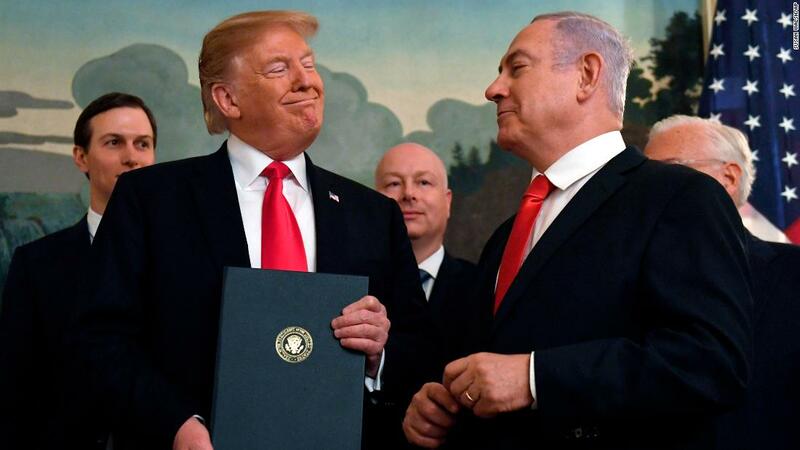 Hard-line right wing parties believe that Trump has given them the opening they wanted, when he recognized Israeli sovereignty over the occupied Golan Heights, overturning decades of US foreign policy in the process. For these parties, and indeed for Prime Minister Netanyahu, the announcement sets a precedent that territory taken by force in a defensive war can be legally retained. If that precedent could be applied to the Golan Heights — captured from Syria in 1967 — it could work for the West Bank as well, so advocates of annexation believe. The West Bank was captured during the same war from Jordan, which had occupied the territory since 1948. Naftali Bennett, the hardline leader of the New Right party, certainly seemed to have his eyes on that prize in the aftermath of Trump’s Golan announcement, calling on Netanyahu to formally renounce a key speech from 2009, in which he endorsed a two-state solution. 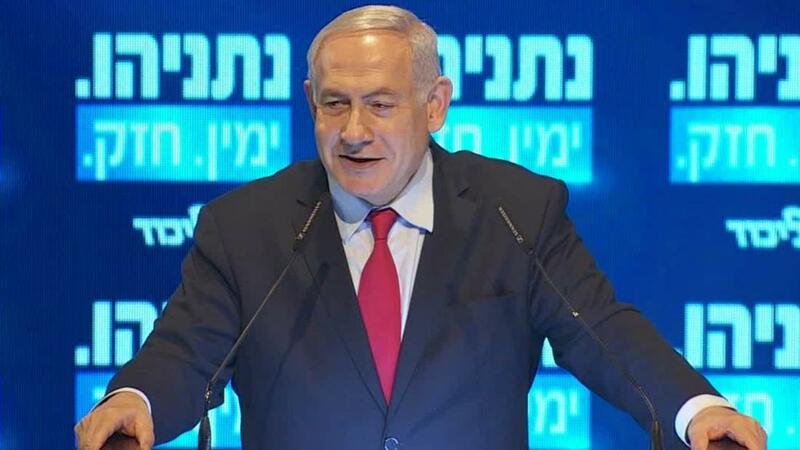 “We call upon Prime Minister Netanyahu as soon as this evening to announce that his agreement to the establishment of Palestine in the Bar-Ilan speech is null and void,” Bennett said. And Netanyahu himself, in a TV interview this weekend, said that he intended to extend Israeli sovereignty across all Israeli settlements in the West Bank if he won re-election, suggesting sweeping annexation across the territory. In a separate interview a day earlier, he said he had told Trump that he was not willing to see a single Israeli settler evacuated from the West Bank — settler population is more than 400,000 — as part of any peace effort. 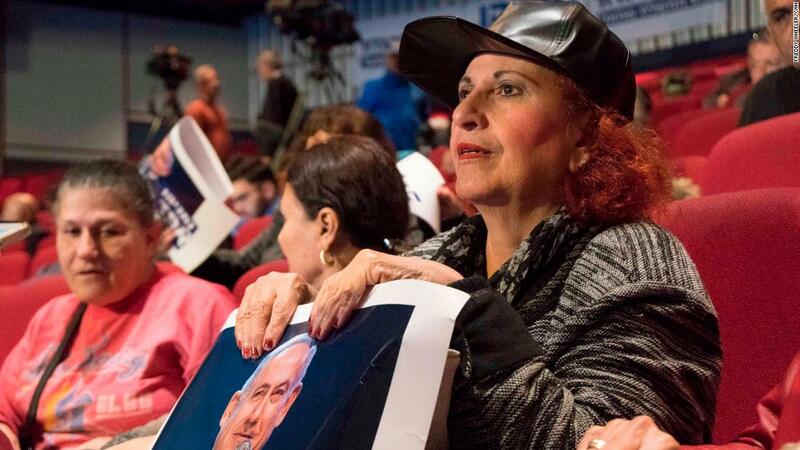 Critics accused Netanyahu of desperate electioneering in the face of a projected tight finish on Tuesday, but the switch in the discourse — from peace process to annexation — shows how far Israeli politics has moved in the last few decades.